PiCOPiCT is one of only a few games which were made exclusively for the Nintendo DSi. It is a download-only puzzle game. How it works is that you have a selection of different coloured blocks at the bottom of the screen and then shapes of different colours start to descend from the top. You take blocks from the bottom and then add them to the falling shapes in order to make squares and rectangles so that they will disappear. As these shapes disappear, the blocks that made them up go up onto the top screen and start to form pixels of 8-bit NES characters, which come to life once formed. There are characters from Super Mario Bros., Balloon Fight, Ice Climber, The Legend of Zelda and other NES classics. The music is remixes of the music from these games. In writing, it sounds exactly like the kind of game I’d really enjoy. So what’s wrong with it? The problem is that this game is not colour blind-friendly and as I am colour blind, this was very annoying. I was okay for the first few levels (other than the odd mistake) but I eventually got to an Excitebike level and there were lots of different shades of yellow and orange and I just couldn’t differentiate. Every time I thought I was doing very well, I was actually just mismatching the blocks and doing badly. Then I’d lose. I have had occasional frustrations with games because of them not accommodating colour blind players before, but this was the only time that the game had essentially been made unwinnable because of it. 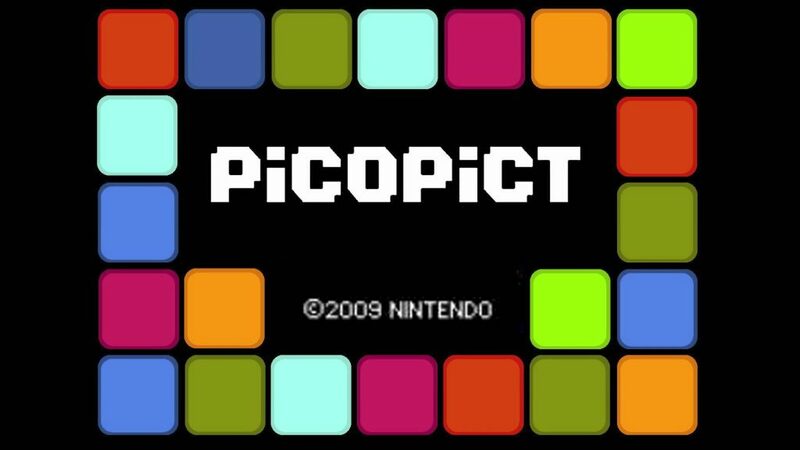 So, if you’re not colour blind, I am sure you will have a lot of fun with PiCOPiCT but if you are, don’t buy it. It was quite disappointing, because I was having quite a lot of fun with it at first and I am the kind of person who always has to play a game through to the end – even when I’ve hated games, I’ve stuck with them until I was finished. Being unable to get to the end due to things which are entirely out of my hands is very frustrating.